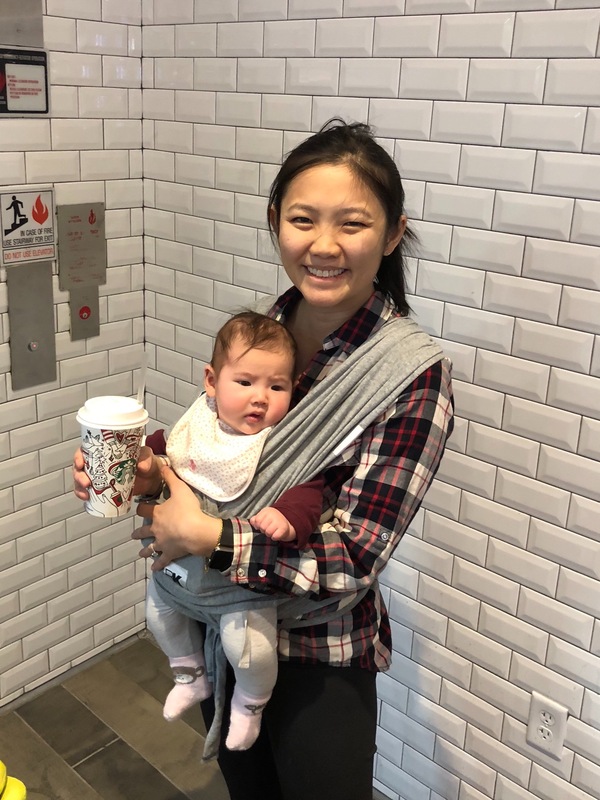 Prenatal Yoga Center | February Mom of the Month: Meet Michelle Tsang! Community and support are a vital part of Prenatal Yoga Center. To help encourage relationships and get to know one another a little better, we like to introduce a new mom and her baby each month. This month, please meet Michelle Tsang and her 5 1/2 month son, Ryan. The most positive way that motherhood has changed me is that it has made me more mindful of how I spend my time. Like many New Yorkers, I had a tendency to overextend myself and I suffered from one too many cases of FOMO. With Ryan around, I say “no” to a lot more and spend my time on activities that take care of her or myself and with people who bring positive energy to our lives. As for time sans baby, if I’d rather spend the time with Ryan or sleeping, I’m out. I’ve been surprised by how easy prioritizing has become – it was a concept that I used to struggle with a lot. I’m not sure if it has become easier because I’m focused on her or because with her around, I don’t have the time or energy to not prioritize. Whatever the reason, this mindfulness has made me a much happier person, which is the best thing I can be for Ryan. What is one thing you wish you would have known before becoming a mom that is important for other new moms to know? Breastfeeding isn’t as easy as you’d think! Nobody, even my best Mom friends, told me this until they heard about my struggle. I always assumed that I’d have the baby, try to feed her, maybe flounder a little, but that eventually my Mother’s instinct would kick in. That is not how it worked out at all! My milk came in late and when it did, I struggled with production. Ryan lost so much weight that my husband had to run out for formula during a pediatrician’s appointment. She ultimately ended up having a lip and tongue tie removed and we are now happily 100% breastfeeding, but getting through the physical pain and self doubt was HARD. I’m so thankful for PYC’s breastfeeding support group for this reason. 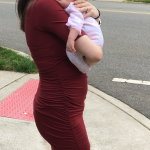 Every session, each mom got to talk about the struggles she was having with breastfeeding and honestly, whether her struggles were similar or different, I found a lot of comfort knowing that I wasn’t alone. Andrea offered tips to each of us and it was really helpful to hear all of the tips and take what applied. I’ve told all of my friends who are expecting to get to a breastfeeding class before the baby comes if they can and to check if their insurance will cover a visit with a lactation consultant. Even if a pre-approval is required, it’s worth the extra time/paperwork. 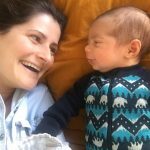 What is something surprising about motherhood? I didn’t expect to have such a hard time leaving Ryan to do something for myself! Even when I’m exhausted by motherhood and in need of some self-care, I feel extremely guilty leaving her. I have to remind myself that taking breaks allows me to come back to her as a more engaged and patient mom. What one of your favorite ways to bond with your baby? Ryan LOVES seeing the two of us in the full length mirror. After looking at herself, then at me, she always breaks into a big gummy smile. This works multiple times a day, everyday. I’m not sure if this is crazy, but I feel like when we are in front of the mirror, we are communicating and she understands that we are playing together vs. other times when it feels like I’m the entertainment. Two weeks ago, we were bouncing up and down in front of the mirror and Ryan had her first laugh. It’s hard to put into words how nice the sound of your baby laughing is!